This home security camera runs entirely on solar energy and will store footage locally if your Wi-Fi goes down. The Lynx Solar Cam is a solar-powered outdoor security camera with interesting features that set it apart from more well-known competitors. You can install it anywhere, even locations that don't have electrical power nearby, and its free cloud storage can save money in the long run. The solar panel makes mounting and running the camera easy from anywhere on your property, though you'll want to install it within range of a Wi-Fi access point. .
Perhaps you want a camera at the end of your driveway, or along a rear fence where there is no power? No problem. The solar panel means you don't need to route power or drill through walls if you mount it on the side of your house. In our tests, the solar panel kept the camera's battery topped up without any problem. After disconnecting the panel, the camera continued to run on battery power for almost a week. When it eventually died, I hooked the panel back up and the battery was back to 100 percent after 24 hours on a sunny California day. And another off-the-grid feature: if the camera loses its Wi-Fi connection, it will store data internally and transfer it when it reconnects. That’s a feature few of its competitors can match. Tend's Lynx Solar Cam carries IP65 weatherization. The Lynx Solar Cam includes seven days of video storage in the cloud at no additional cost. That's storage of video clips of anything it deems unusual. The service doesn't upload video continuously, however, like the Nest Outdoor Cam does. Tend isn't alone in offering free storage. A few competitors do, including the Netgear Arlo family, but the majority charge a few dollars a month for this service--a fee that adds up over the months and years, especially if you have several cameras. Cloud storage is something you need. You can't and don't want to monitor the cameras 24 hours a day, and when something happens, you'll want video evidence recorded. Camera specs are pretty standard for a security camera these days: 1080p resolution and night vision. The Lynx also supports facial recognition, a feature I’ve experienced on several cameras and never found to be totally reliable. The same was true on the Lynx. While it did a decent job at recognizing me and the letter carrier, it would sometimes get confused by my car's hubcap and think it was a person’s face. That's the same problem I've experienced with competitors, so it's more a criticism of the technology than the Lynx's implementation. Users can adjust motion detection and set night vision on or off in the app. There's a handy button to flip the video image, so it will appear the correct way up if you've had to install the camera upside down. As with other cameras, you can remotely talk and listen through the camera. The plastic mount for Tend's Lynx Solar Cam.is somewhat flimsy. Thanks to the solar panel, installation was pretty easy. The solar panel has a long cable, so the panel doesn't need to be too close to the camera. One thing I would change is the plastic mount for the camera. It enables the camera to be mounted in almost any orientation and that's great, but I found it a bit too springy. Occasionally in heavy winds, the camera would bounce a little on the mount, but that didn't happen too often. 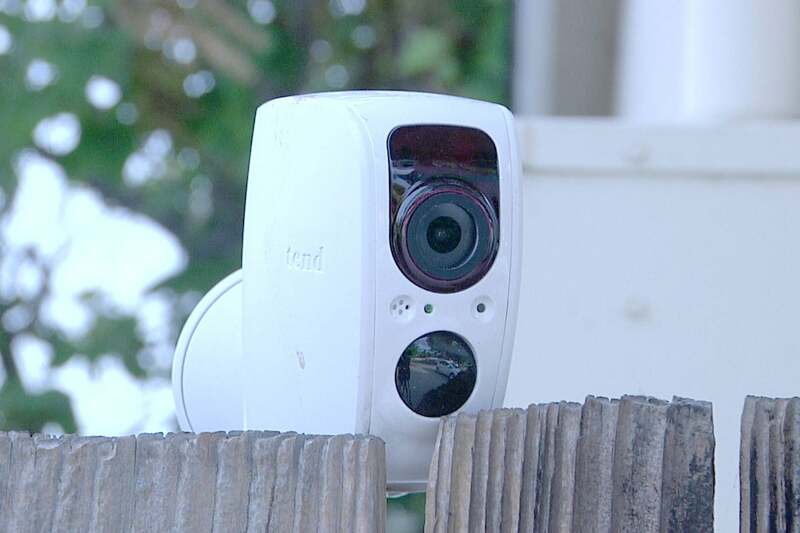 The Lynx Solar Cam, including the solar panel, costs $200, which compares favorably with many competing smart home security cameras that don't have battery or solar-panel options (the ones that do usually charge extra for the solar panel). It's an especially good value when you take the free cloud storage into account. 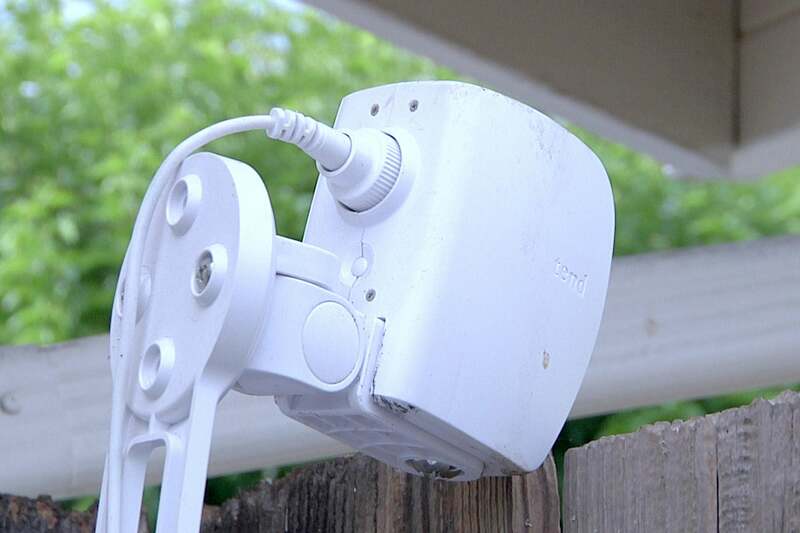 The Lynx Solar Cam is an outdoor security camera powered by an included solar panel. It can be installed anywhere there's sunlight and comes with 7 days of free cloud video storage.